Wayne, Pa. (April 9, 2019) —Action Technology’s tubing product line has passed stringent National Sanitation Foundation (NSF) certification requirements for demanding food, drinking water and sanitation equipment applications. Action Technology has met the requirements for NSF Standard 51—Food Equipment Materials, and Standard 61—Drinking Water System certification. Action Technology’s has received NSF-certification for polypropylene and polyethylene tubing in diameters ranging from .070 to .500 inches. Available stock colors include natural, black, red and blue. To support color-coded installation or branding requirements, custom colors are also possible. 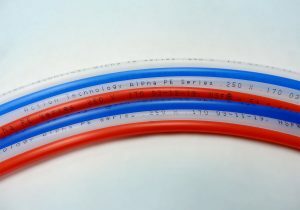 The company sells its tubing direct for a wide variety of applications including food, foodservice, water, sanitation and other market segments. This means that users can work directly with Action to find the correct solution for their application and improve speed-to-market. Action Technology’s product line is backed by 50 years of manufacturing expertise and customer support. Action Technology is a global leader in aerosol and pump dispensing system components. The company specializes in gaskets, extrusion/dip tubing, molded components and plastic/rubber rolled goods for dispenser use. It sells billions of cut and wound dip tubes, punched and molded rubber and plastic gaskets annually that are used to dispense food/beverage, pharma, personal care, industrial and household products. For more information visit www.tekni-plex.com/action-technology.